The Everyday Day Life 2017 Planners are HERE!!! The month dividers of this planner feature beautiful, intricate coloring-page style designs that are carried through in smaller details on the following pages. These planner pages also include a plastic zipper pouch for storing your markers, coloring pencils, pen, and other writing and decorating instruments. 3. 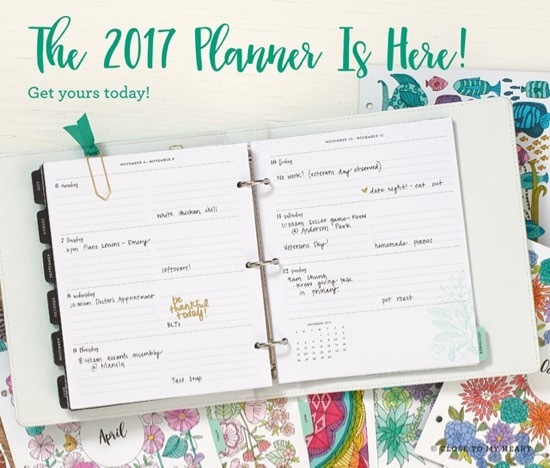 Buy only the planner pages themselves (CC2017, $16.95). These are only available for a limited time while supplies last, so be sure to order yours soon. And don’t forget your coloring supplies! Next NEWvember! HE makes all things NEW!